I finally got through my 30 Rock first season DVDs, and it’s some of the smartest, funniest stuff I’ve ever seen. Tina Fey is beautiful and awesome and brilliant. 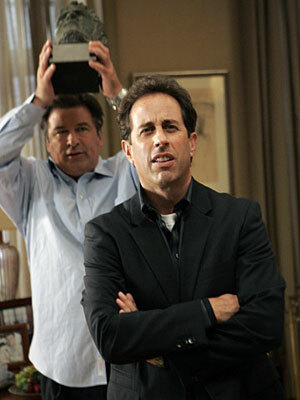 Tonight’s season premiere on NBC features Jerry Seinfeld. And you need to watch it. And My Name Is Earl and The Office, too. Info coming soon on the third Nolan/Bale Batman!